An ounce of prevention is just as good for your eyes as it is for every other part of your body. Just as periodic medical checkups can keep you on the path to optimal health and wellness, periodic eye and vision exams can help you enjoy a lifetime of best possible eyesight. Our ophthalmologist here at Museum district Eye Center, Dr. Charles Garcia, is always happy to provide these comprehensive exams for Houston TX residents. Comprehensive eye exams may be considered a routine preventative measure, but there's nothing humdrum about their potential benefits for your eyes and vision. Even if your eyes seem to be working perfectly well, you could be harboring lurking diseases that are even now causing subtle but irreversible damage. Timely detection of these issues allows us to recommend treatments that could save your sight. Even children need comprehensive eye exams to make sure their eyesight is developing normally. The first step in a comprehensive eye exam involves collecting all the necessary information about your medical history, known vision disorders, and any changes in your vision you may have noticed lately. If you're experiencing problems caused a potential eye function or coordination error, we can run a variety of easy, painless tests to determine how well your eyes are working, both individually and together. Functional problems such as amblyopia ("lazy eye") or strabismus can often be treated through vision therapy or corrective lenses. The eyes themselves must also be checked for any signs of disease. 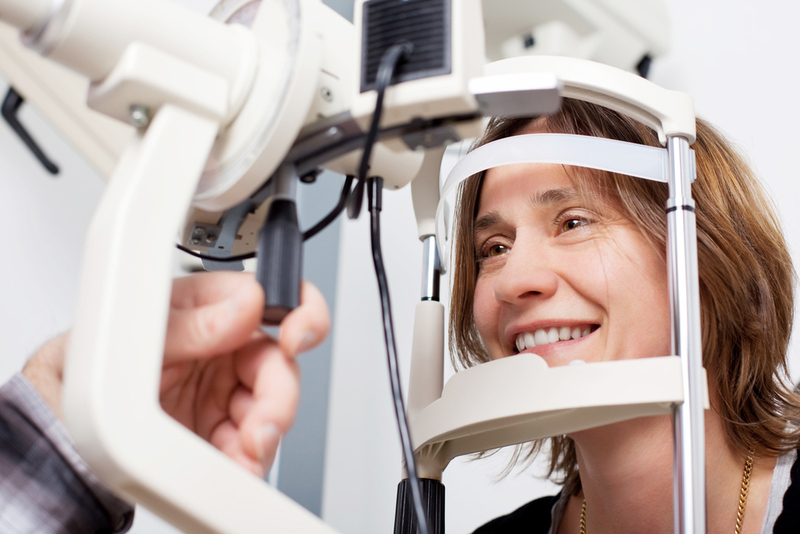 We can see problems afflicting the cornea or lens by using an illuminated magnifying device called a slit lamp. Diluting your pupils allows us to see most of the inside of the eye, where we can spot signs of macular degeneration, diabetic retinopathy, tumor development and optic nerve damage. To check for possible glaucoma (a form of optic nerve damage associated with a high fluid pressure within the eye), we use a technique called tonometry to measure the pressure in each eye. Now that you know more about both the value and the process of our comprehensive eye exams, help assure optimal eyesight for every member of your family by scheduling those all-important exams right here at Museum District Eye Center. Call 713-333-0151 today to set an appointment with our ophthalmologist!